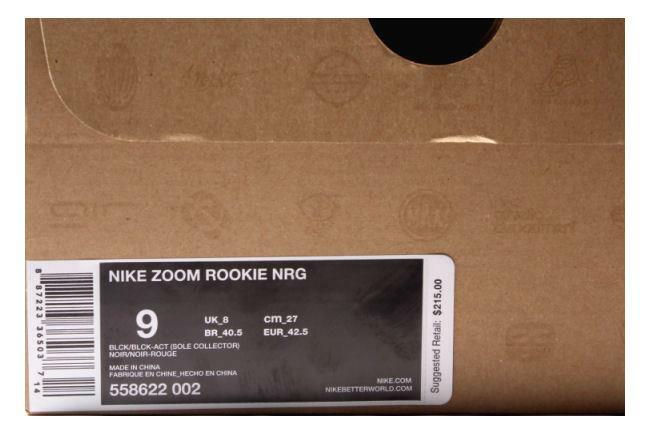 Info: The Nike Zoom Rookie is the second Penny Hardway hybrid model. 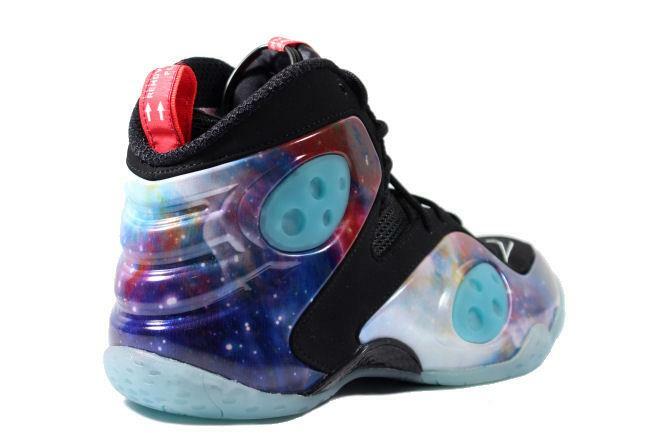 The shoe is composed of three pre-signature shoes, including the Nike Air Up, Nike Air Flight One and Nike G.O. LWP. 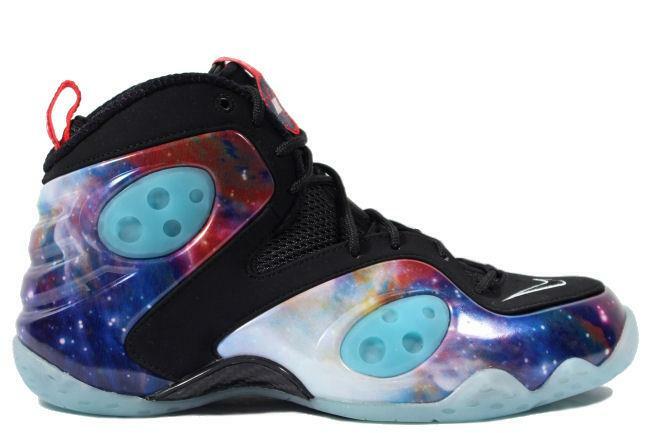 This special colorway done by Sole Collector is covered in a galaxy themed upper with special glow in the dark pods and velcro rip tabs emblazoned with 'remove before flight'. 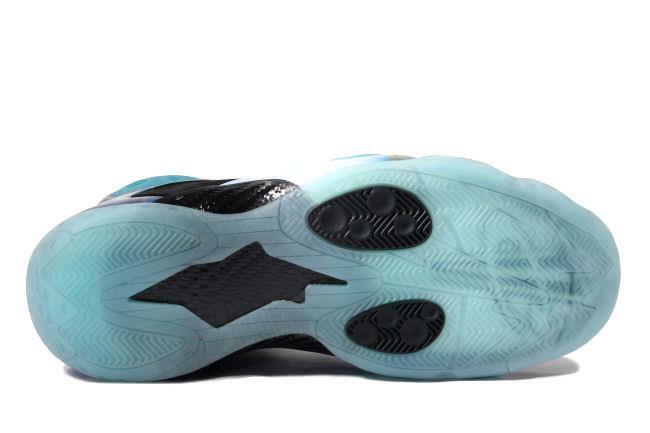 A glow in the dark outsole provides extra grip. 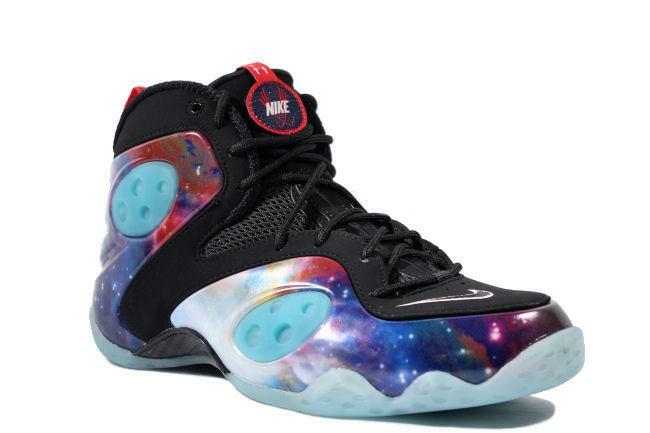 September 2012 Nike Sole Collector release.